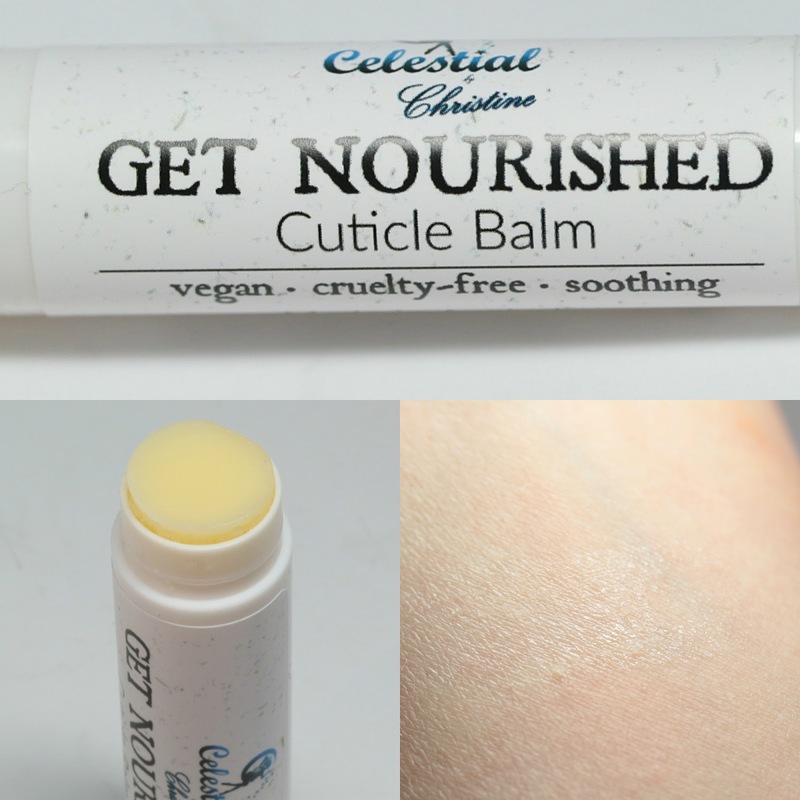 Celestial by Christine Get Nourished Cuticle Balm is in a twist-up tube that will easily fit in a pocket or purse. It is vegan and free of animal-tested products. Each tube contains 4.5 grams of balm. Organic Butyrospremum parkii, candelilla wax, Organic extra virgin Cocos nucifera, Prunus armeniaca seed oil, Simmondsia chinensis oil, Organic Helianthus annus oil infused with Organic Calendula officinalis, vitamin E, may contain fragrance. They are nice, gentle botanical-based ingredients, with organic shea butter as the most plentiful component. You can chose the balm with or without fragrance. Other ingredients include coconut oil, apricot oil, jojoba oil, and sunflower oil infused with marigold. 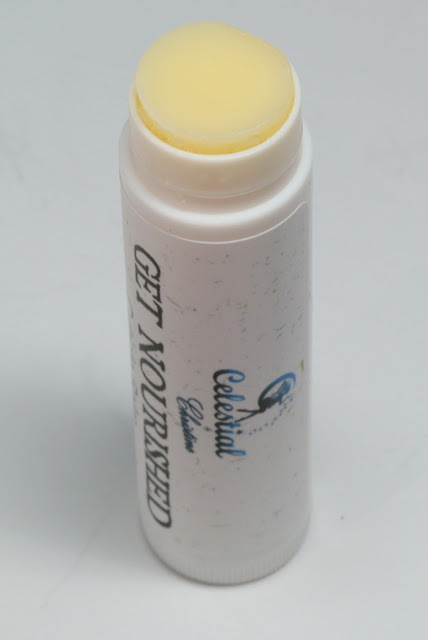 The balm is a golden color that goes on clear. You could also use it as a lip balm if you did not mind the fragrance or got unscented. The one I received was called Temptation, described as "aroma of fresh and sensual orchid followed by the smooth, luxurious undertones of chocolate." It was a spicy, floral scent and was very soft - you would only smell it with your hands close to your face. Celestial by Christine Get Nourished Cuticle Balm is currently available in four floral and fruity scents, as well as unscented, for AUS$4 on the Australian site. They will be available later on the US site for $3. Also, check out the wide array of wax melts she has if you like scented burner waxes. This is a great option for a nice, matte balm in convenient, portable packaging. Celestial by Christine is the beauty and wax line of Celestial Cosmetics. It is made by Christine in Australia.